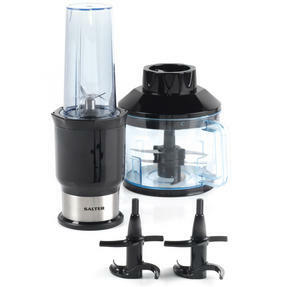 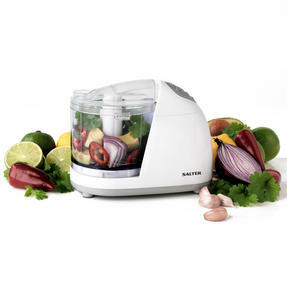 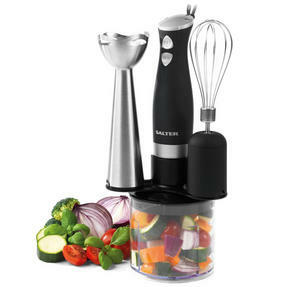 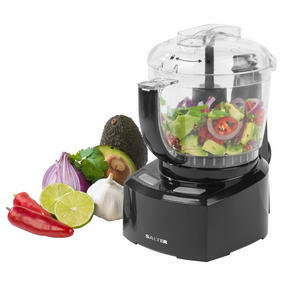 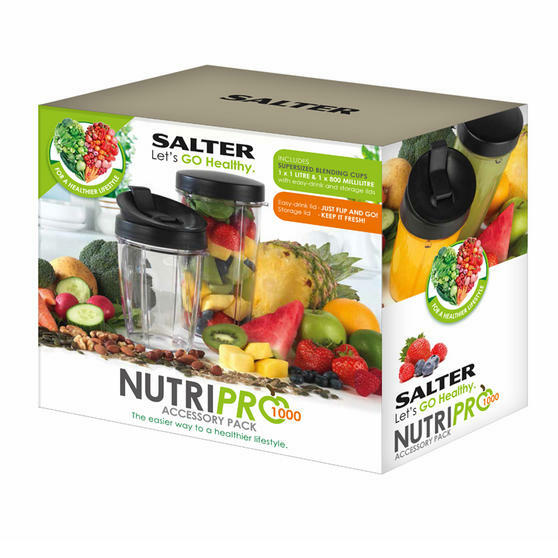 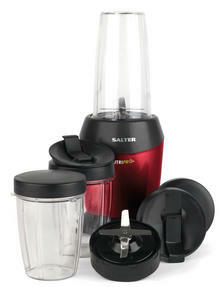 You already have the Salter NutriPro and now you can get more delicious smoothies into your day or make more for your family with this brilliant accessory pack. 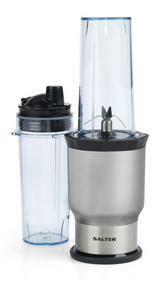 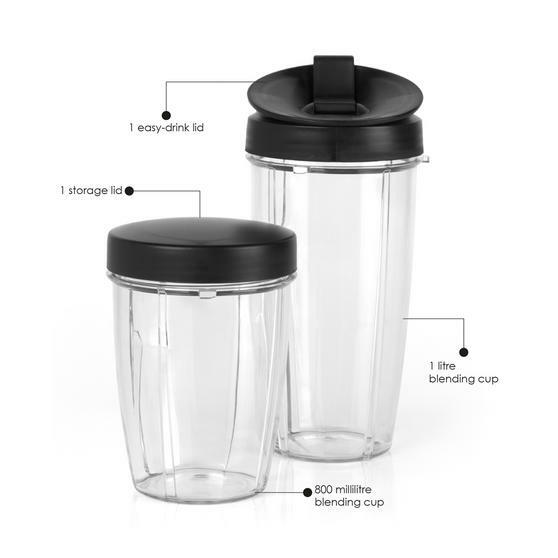 The pack consists of two BPA-free blending cups, 1 storage lid to keep your smoothies fresh and 1 easy-drink lid so you can drink your smoothies on the go. 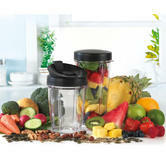 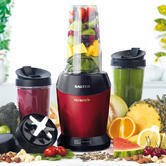 With an 800ml cup and a supersized 1 litre cup, you can make huge smoothies packed with more fruit, vegetables and superfoods than before, so you can live a healthier lifestyle. 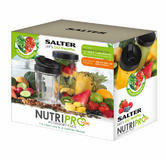 Make bigger, better and tastier smoothies with this Salter NutriPro accessory pack consisting of two larger cups at 800ml and 1 litre. 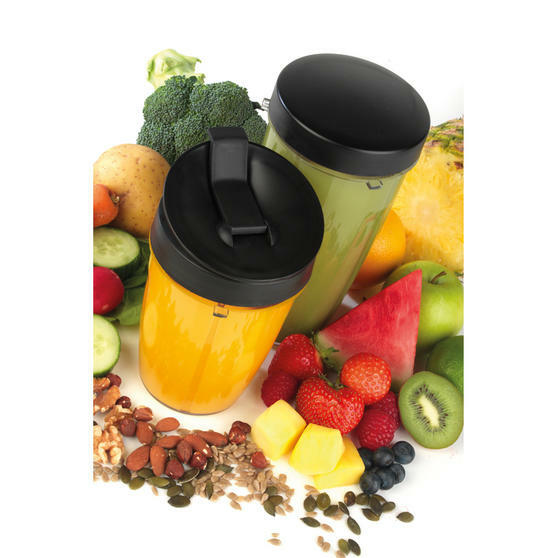 With two more blending cups, it will be even easier to make smoothies for the whole family – just blend in the cup and pop the lid on! The pack contains 1 easy-drink lid for a smoothie on the go and 1 storage lid so you can safely put a smoothie in the fridge for later. 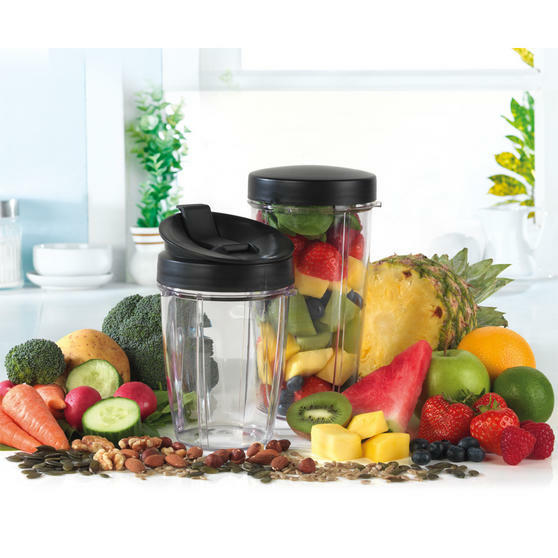 Smoothies are an excellent way to start a healthy lifestyle - try freezing a smoothie for a gorgeous sorbet-style frozen fruity treat!